Whether you are planning a board meeting, sales launch, a fundraiser or a holiday gathering, Austin's Cattle Company will execute your event with the same standards you have come to know through our restaurants: excellent customer service, delicious food, professionalism and hospitality. Selecting Austin's Cattle Company for your meeting or social event takes the stress out of the planning. Our sales professionals will put their experience and efficiency to work for you. We can help you coordinate all of your meeting or party needs from audio/visual equipment and presentation materials to flowers and cakes. Once you see Austin’s Cattle Company "Private Rooms", you will know it is the perfect location for you. Our private rooms has everything you want for a successful event. Your own private entrance, full Bar and restrooms are sure to please all of your guests. Our handicapped guests have easy access to private room entrances. 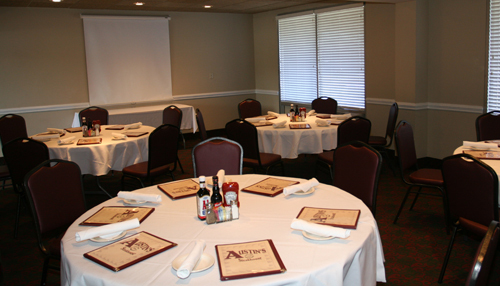 Our Banquet Room allows up to 100 guests for a seated meal. Our different seating arrangements allow comfortable surroundings for parties from 10 or more. For your multimedia needs, We can provide you with a high definition projector with retractable projector screen. Also, great for Power Point slide shows. 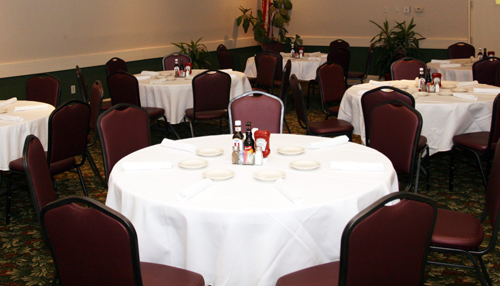 Free wireless Internet is offered throughout the Restaurant and Banquet Room, allowing customers easy access to the web. Our private rooms are perfect for corporate or private events including small weddings, birthday parties, rehearsal dinners, retirement luncheons or dinners, cocktail parties, family gatherings, seminars, meetings and more.. 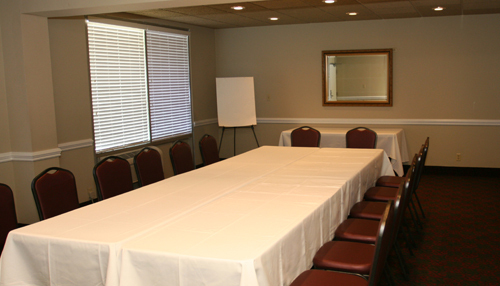 The private rooms consist of Banquest, Conference A, and Conference B. There are 5 Style Choices to choose from.